Read KIDS FIRST! Film Critic Gerrys movie review of Marvels Doctor Strange, that follows the story of the talented neurosurgeon Doctor Stephen Strange on Kidzworld! This superhero movie will disorient you, confuse you, make you ponder time itself and is easily the greatest superhero film ever made. 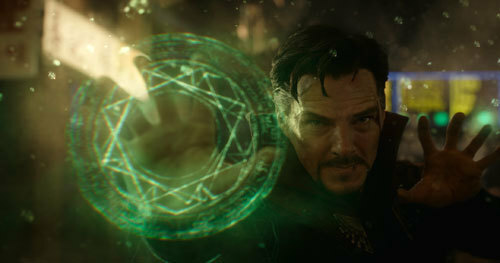 Doctor Strange combines humor, action and science fiction to make a legendary film unlike any other. There are dozens of elements that make Doctor Strange so great. One of the main parts of this film is the action. The action is highly supported by the dramatic interactions between characters. There is also a large amount of perfectly timed humor. It’s so light and enjoyable that it makes you laugh every time. On top of that, there is even a small element of romance in Doctor Strange. 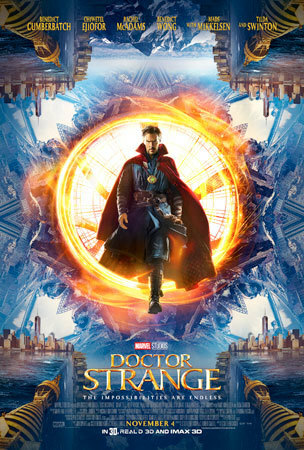 Doctor Strange begins when a very talented neurosurgeon, Steven Strange, (Benedict Cumberbatch) gets in a bad car accident and gets injured. His injuries make it impossible for him to continue practice medicine and he desperately looks for a cure. His search takes him to India where he meets a group of people that do magical things. He joins their group to be healed, but as he trains in their art, he learns there is much more then what meets the eye in the reality he lives in. Perfect. That is the only word that can describe Doctor Strange. Easily the most breathtaking part is the special effects. There are scenes where they warp and distort the world around them in such elegant and spectacular ways that it makes you feel slightly disoriented. That is not where the special effects end though. The powers they have look magical and so realistic, you won’t think it is done by CGI. The acting is another perk for the film. Benedict Cumberbatch excels as Doctor Strange, not only in the intense action scenes but also in the comedy scenes. He truly makes the character come to life and the entire cast portrays the story perfectly. On top of that, the costume design and makeup is another huge achievement in the movie. 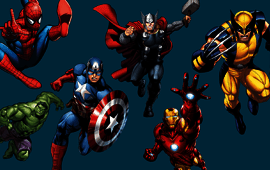 There are parts where even slight details on a character’s face or costume add huge additional meaning to the story. The costumes in general are beautiful and amazingly well constructed. 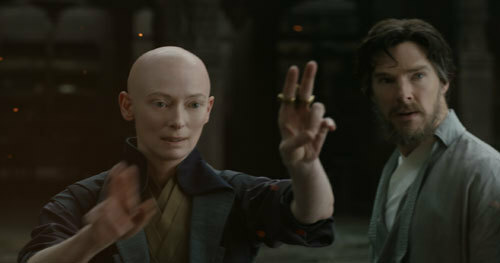 My favorite scene is when Doctor Strange discovers how to warp and twist time. He tries it on an apple he is eating and you watch the apple turn from half eaten to ripe and new, to fully eaten and slowly decaying. I love this scene for so many reasons, primarily the extraordinary special effects. This is an example of how well they integrate set design, the live footage and the CGI. This is not the only scene where they integrate these so well. 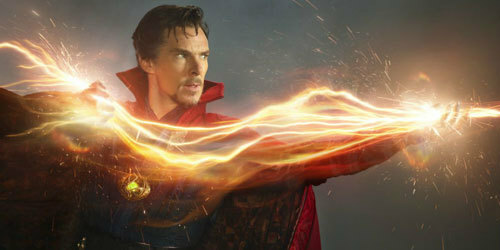 On top of that, just looking at how Doctor Strange discovers this power is very entertaining and enjoyable to watch. Although Doctor Strange is a great movie, it is clearly not meant for young kids. There are lots of scenes containing gore and violence and scenes that are dark in general. For that reason, I recommend it for ages 12 to 18. I also absolutely give it 5 out of 5 stars for its phenomenal special effects, beautiful costumes and sets, breathtaking acting and exciting story. Doctor Strange is in theaters now! Click Here Add Gerry as a friend on Kidzworld and learn more about him! Suicide Squad – Great Soundtrack, Intriguing Storyline & Super Cast!